Most of us just got our boats in the water, the kids are still in school, and we're still recovering from a way-too-fun Memorial Day weekend. It may seem too soon, but as of today, June 1st, hurricane season is here. And the National Weather Service’s Climate Prediction Center (the NOAA's version of the Farmer's Almanac) predicts this year will be a doozy. 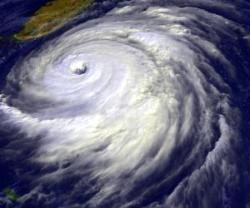 In fact, after analyzing the NWS report, one of the local meteorologists here in Connecticut blogged that this year "could be the most active hurricane season since 2005." What about all that oil in the Gulf? Of course we all remember 2005 and the whopper known as Katrina. It is frightening to imagine what effect even a small hurricane would have on communities along the Gulf this year. Wikipedia tells us that two days after Katrina hit land, "80% of New Orleans was flooded, with some parts under 15 feet (4.5 m) of water." Throw several thousand gallons of oil into the mix, and it will get ugly. Luckily, extended range hurricane forecasts are not set in stone - anything can happen. Most of us may escape untouched this year. That being said, it is important for boat owners to be prepared, and to ensure your boat is ready to withstand a fast approaching storm. Our hurricane resources page for boaters includes plenty of tips, as well as free guides from the Boat Owners Association of The United States.